Measurement is the basic requirement of almost every science experiment and theory. Be it studying about units and dimensions of a body or going through deep theories of electricity and magnetism, we need measurement in everything to understand the basic concepts behind it. Every measurement involves some form of uncertainty in the experiment. For Example, Suppose you are measuring a building’s height in order to calculate the velocity of an object when it is thrown vertically upwards at a certain moment, and the instrument you’re using to measure the building is broken or defected, then your answer will definitely be wrong. The reason behind the wrong measurement is uncertainty in the instrument. The uncertainties which occur while performing an experiment are called errors. Errors generally occur in the results of our experiments as every measured value has an error in it. It is very important to eradicate errors from our results so that it won’t create problems in future. The nature of the error is based on two terms, namely Accuracy and Precision. Measurements of units revolve around accuracy and precision, that’s why we find our experiment readings to be in decimal form. Personal Errors: These errors occur due to improper setting of apparatus, lack of observation skills in an experiment and are based on the carelessness of individual only. 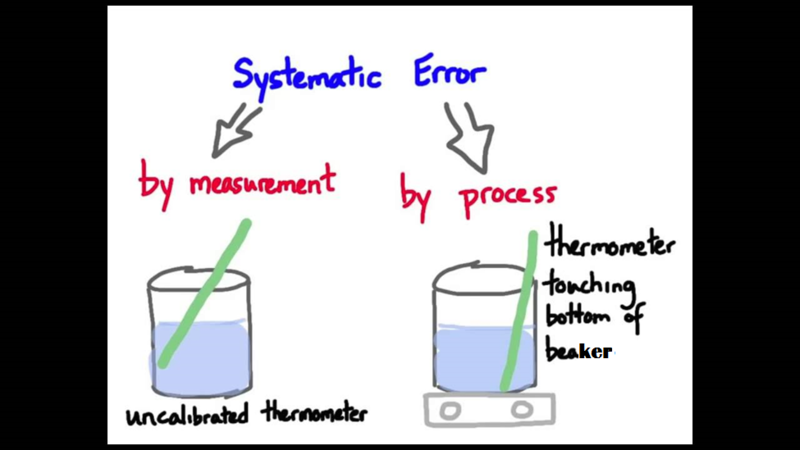 Personal errors depend on the user or student performing the experiment and have nothing to do with instrument settings. How to reduce systematic errors? We can only reduce random errors and can’t eliminate them completely as they are unpredictable and not fixed in nature as systematic errors are. Image 4: All measuring instruments have least count on it. 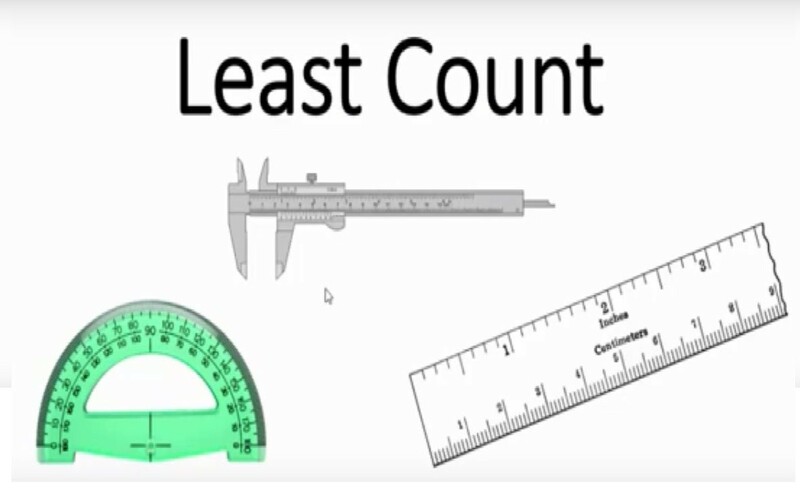 Least Count Error depends on the resolution of the instrument. The Least Count Error can be calculated if we know the observations and least count of instruments. The table given below shows least count of some instruments. We use high-precision instruments in order to improve experiment techniques, thereby reducing least count error. To reduce least count error, we perform the experiment several times and take arithmetic mean of all the observations. The mean value is always almost close to the actual value of the measurement. Remember that Δa may be a positive or negative sign, but will always focus on the magnitude of it. Also, the arithmetic mean of all absolute error is the final mean of absolute error of experiment. Relative Error is defined as the ratio of the mean absolute error Δamean to the mean value amean of the quantity measured in an experiment. 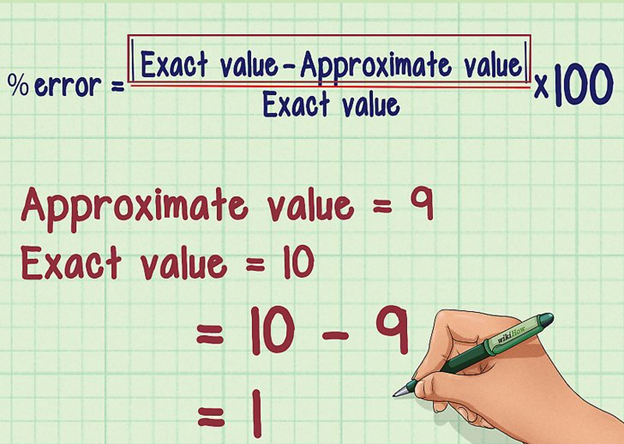 Instead of absolute error, we use relative error as it becomes easy to calculate errors and make necessary approximations. If the actual value of a quantity is 50 and its measured value is 49.8. Then calculate the absolute error and relative error in it. ΔC = ΔA + ΔB, for difference also follow the same formula. Remember that when two quantities are added or subtracted, the absolute error in the final answer will always be the sum of individual absolute errors. The mass of a substance is 100 ± 5 g and volume is 200 ± 10 cm3, then the relative error in density will be the sum of percentage error in mass that is  5/100 × 100 = 5% and percentage error in volume that is 10/200 ×100 = 5%, which is 10%. The relative error in physical quantity raised to a power‘s’ can be calculated by multiplying ‘s’ with a relative error of the physical quantity.